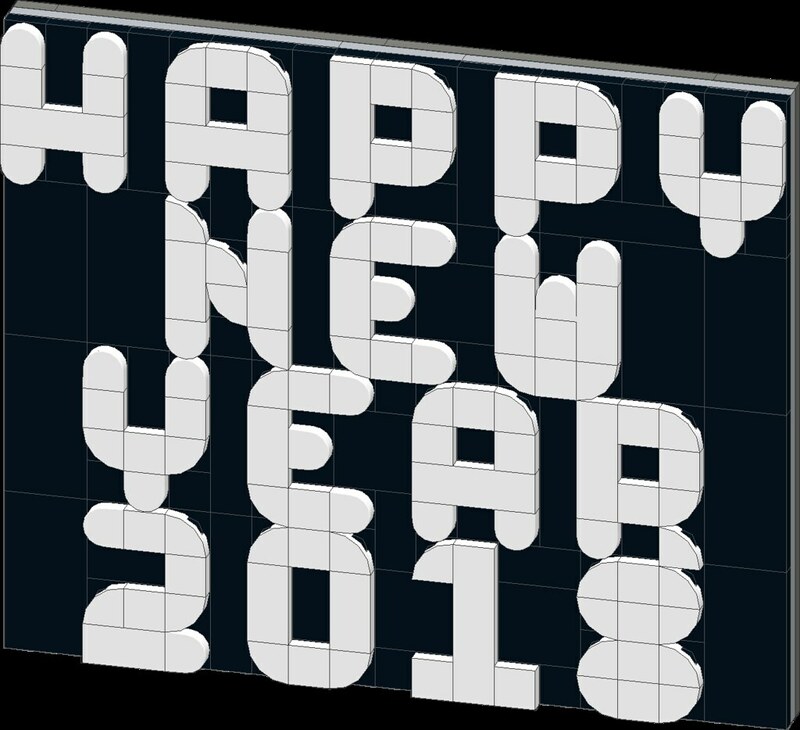 I came up with this little sign to commemorate the new year, and made instructions for it. 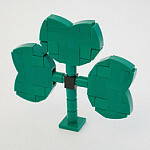 To commemorate St Patrick’s Day this year I built a little shamrock. Hope you remembered to wear green! Happy Pi Day! March 14, or 3/14 as Americans write it, is a day to celebrate all things mathematical. 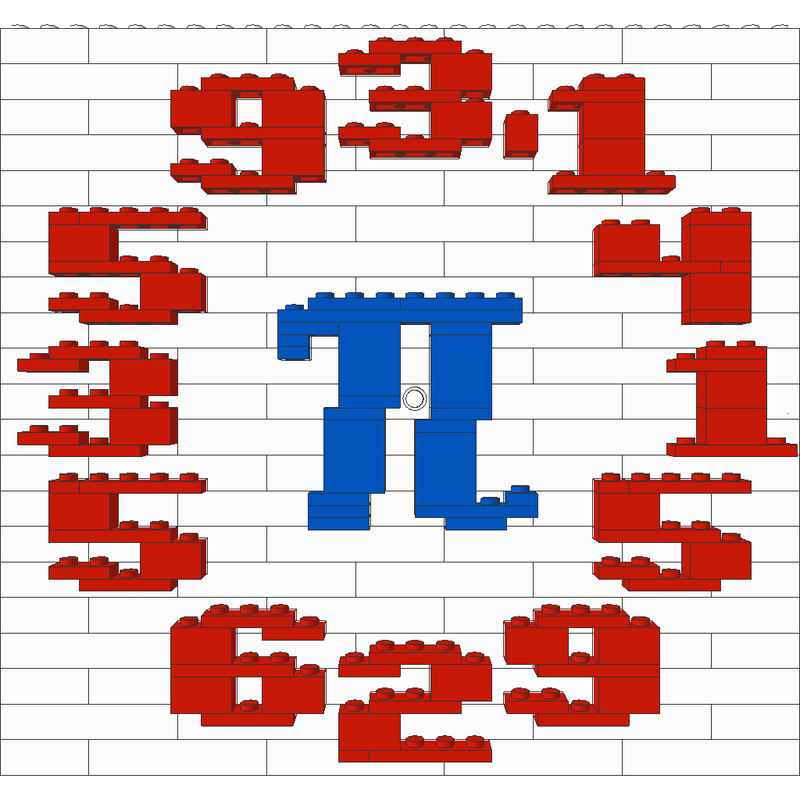 For Pi Day this year I designed a LEGO clock face using the first 12 digits of pi instead of 1-12. 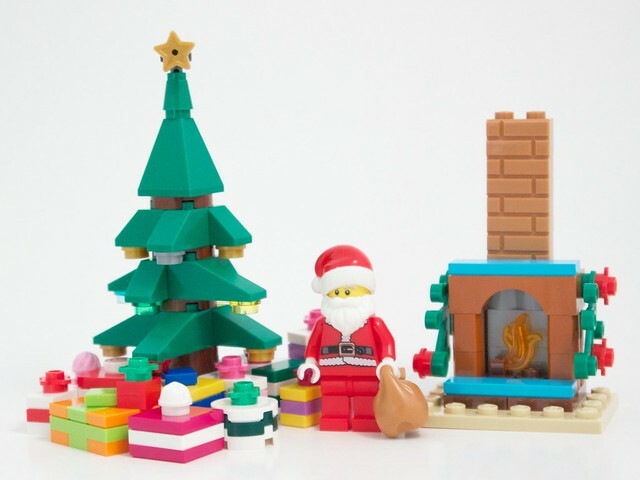 Throughout the first 24 days of December I had been posting about the Advent Calendar and Christmas Build-Up models. 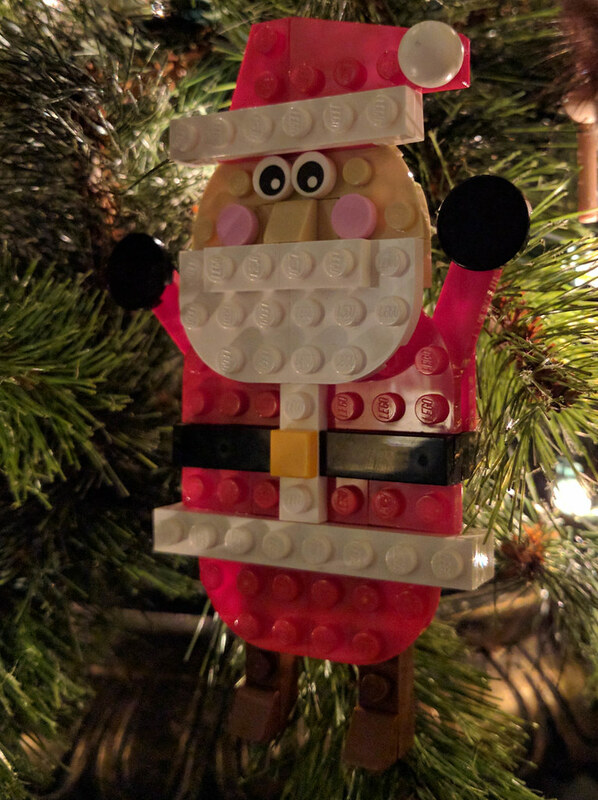 Each day I designed and built a MOC (My Own Creation) using the parts leftover after building each day’s Christmas Build-Up model, and while some of them are holiday themed, most were not. 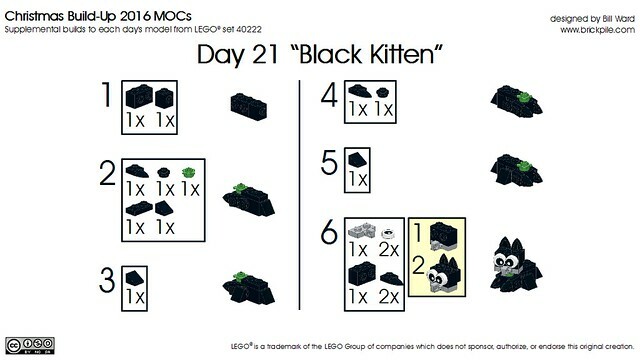 So I have created instructions if you want to build them yourself. 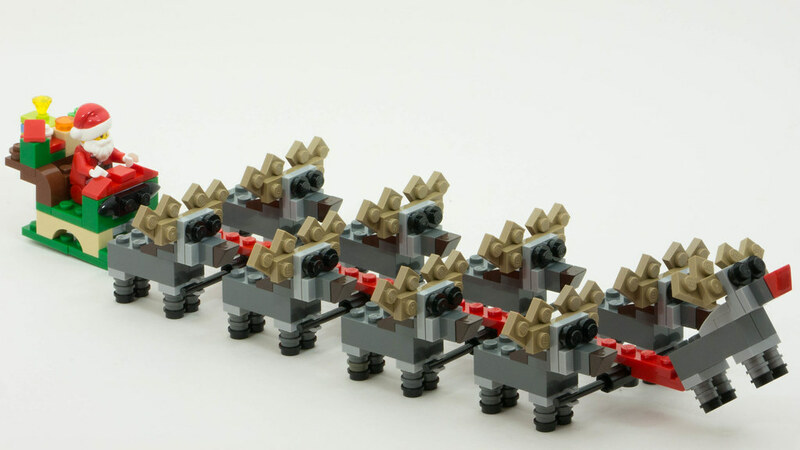 So after building the Day 24 models from Advent and Christmas Build-Up I was disappointed that my sleigh only had one reindeer…. so I dug parts out of my collection and built eight more, and devised a way to hitch them all together, and put Santa Claus from the Advent City calendar in the sleigh along with the gifts from the Christmas Build-Up model. 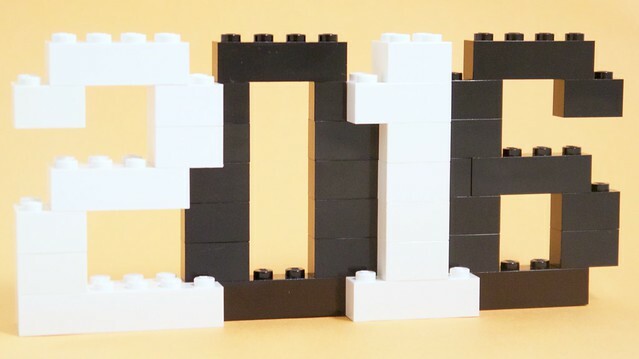 I hope you had a safe and happy New Years celebration, and wish you happiness and success in the coming year. I used parts from the City, Advent, and Star Wars Advent Calendars to build this little scene. I combined parts from the two trees and built the fireplace and presents. Merry Christmas to all. 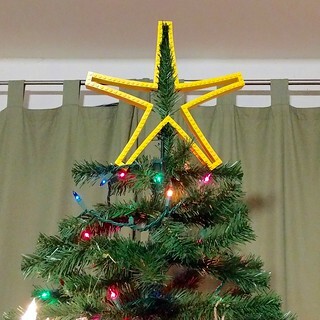 I designed and built this for my Christmas Tree. Instructions are included in case you want to build one too.